If you haven’t heard, eDNA testing is the latest, highly effective method for detecting the presence of great crested newts in ponds, which ultimately can save developers and ecologists precious time and money. Just taking some of the highlights from DEFRA’s detailed methodological studies, where newt occupancy was assessed on four occasions at 35 sites, newts were detected 99.3% of the time when known to be present. This also bears out in the volunteer surveys of single samples from 239 ponds that detected great crested newts 91.2% of the time (218 ponds) when they were known to be present using other methods. These levels of accuracy are unprecedented and when you consider there was also no evidence of false positives (eDNA did not record newts where it was believed there were none) or cross contamination between sites, eDNA looks like an attractive alternative! There was also no evidence that eDNA detectability varied during the sampling period (mid-April to early June), either in the detailed methodological study sites or in the broad volunteer survey. Given it’s benefits over traditional testing methods, you can see why this ground breaking technique has been approved for use and supported by Natural England. In the detailed study that was carried out, the eDNA testing was more effective at detecting newts than individual traditional survey methods (e.g. torch counts, bottle trapping, egg searches) over the course of the survey season. For traditional methods to achieve similar detection rates to eDNA, it was necessary to combine torch counts and bottle trapping, although later in the season eDNA was significantly more effective than even torch and bottle trapping combined. Torch counts and egg searches combined were not as effective as eDNA in England and only equal to eDNA in Wales early in the season. 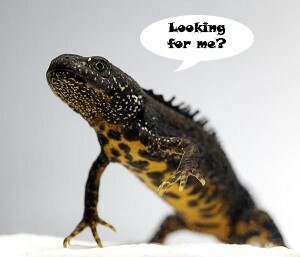 Mitigation efforts for great crested newts can be expensive if you find them on a development site, for example one recent case in Milton Keynes a building firm claimed to have had to spend more than £1 million catching 150 of the great crested newts – delaying the construction of 6,500 new homes by up to a year at a cost of £6,700 per newt saved. Another instance reported was a couple barred from living in £1million house for a year after protected newts move in after floods – because the great crested newt apparently got there first. However with the introducion of eDNA, testing for them in the first place is now considerably more cost effective, just requiring a brief visit to a pond, significantly cutting down on the number of survery visits need to determine presence absence from four to just one. Searching for eDNA; what’s in a control? © 2019 Fera Science Ltd. All rights reserved. Part of Capita plc. Registered in England & Wales No. 09413107.